Stuff written by Annie. Stuff written about Blast. I am so proud. On 28 December 2018 my first book was published by Harper Collins, just in time to help everyone along with their New Year health and well-being plans. 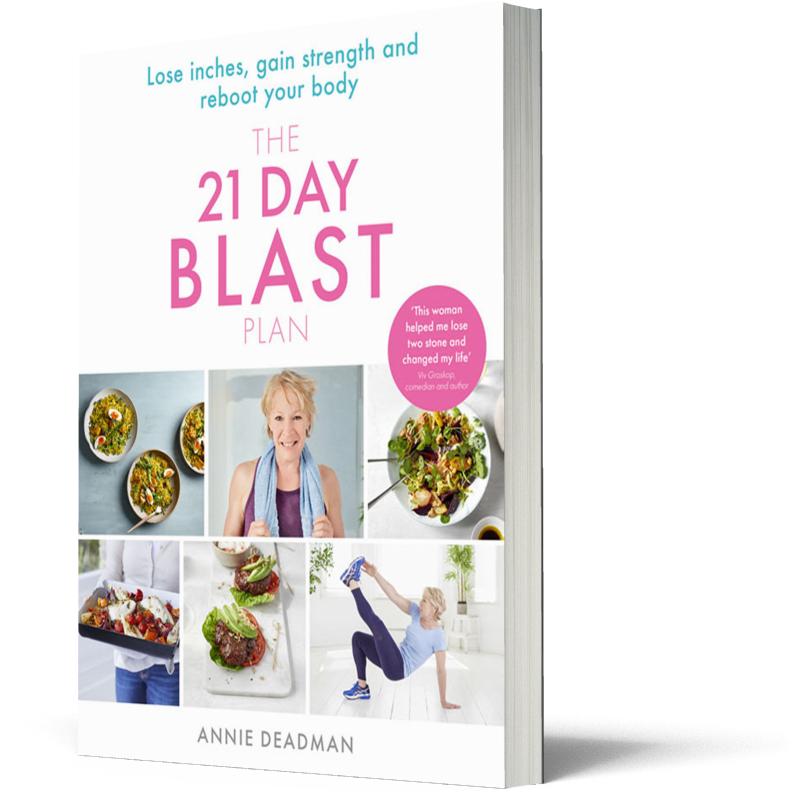 I was so chuffed to be asked to write this book so that the wonderful Blast Plan can reach even more people. 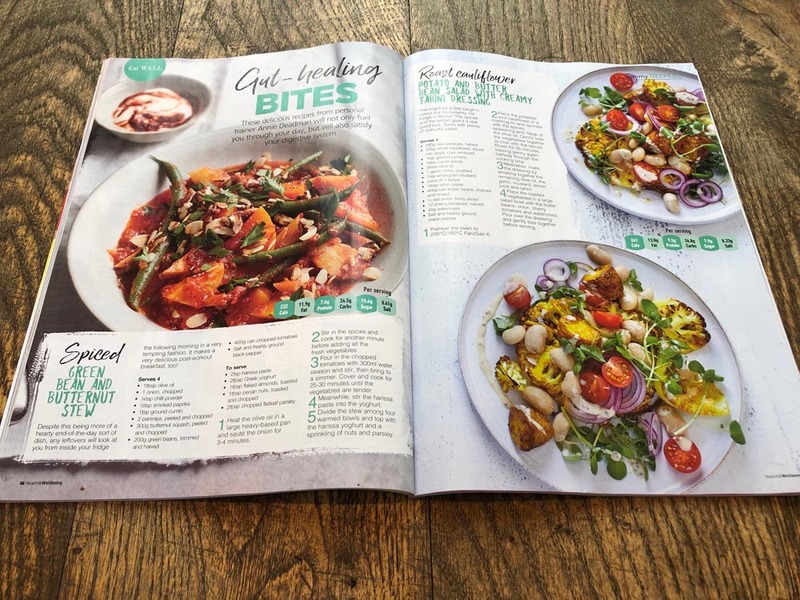 The workouts are effective, the recipes are delicious – and mostly different to the online plan – and were devised with the help of the accomplished nutritionist, Joy Skipper, who has masses of books to her own name. The rest of the book is what you would expect – no-nonsense information for the mid-life market about losing fat and getting healthier. It’s a brilliant read, both entertaining and hilarious. 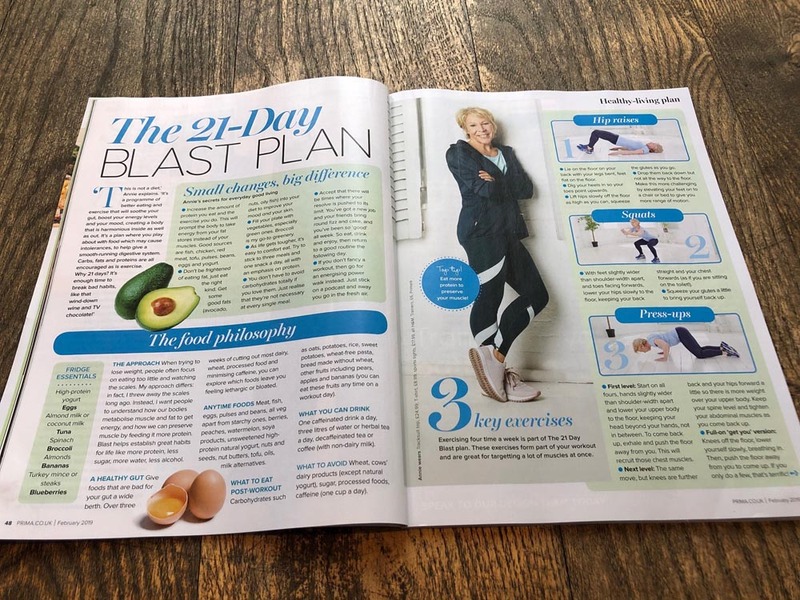 In a feature to promote the 21 Day Blast Plan book, the journalist Lucy Dunn rolled up her sleeves and got stuck in. The piece gave a true but glowing testimonial and the coverage was colossal. Lucy loved it so much, she then signed up to the online Blast plan… without any arm-twisting! This was such a fun shoot. The team at Prima were so encouraging and professional and somehow they managed to coax me into a glitter jumpsuit. The result was a terrific 5 page promotion of the Blast book, the plan, and all its benefits. 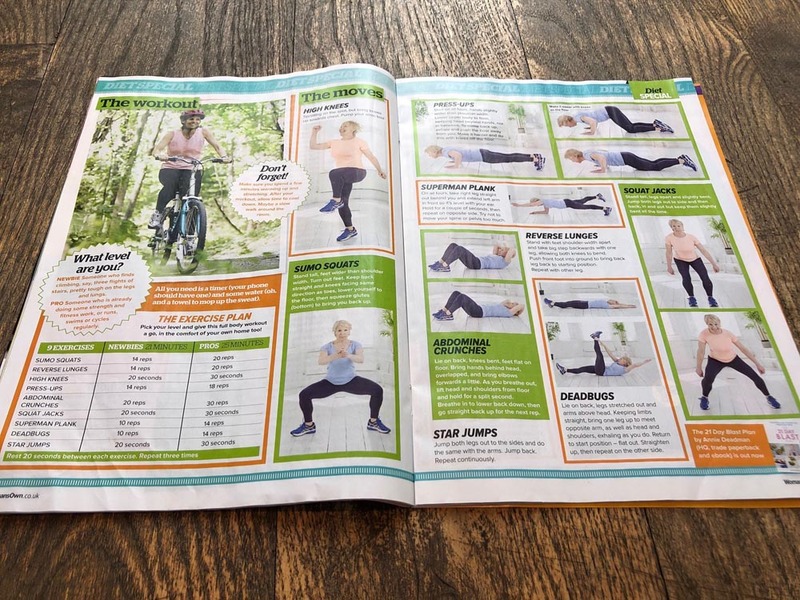 A great piece giving 2 double page spreads over to some of the mouth-watering Blast recipes and me looking a total lemon performing some of the workout moves. 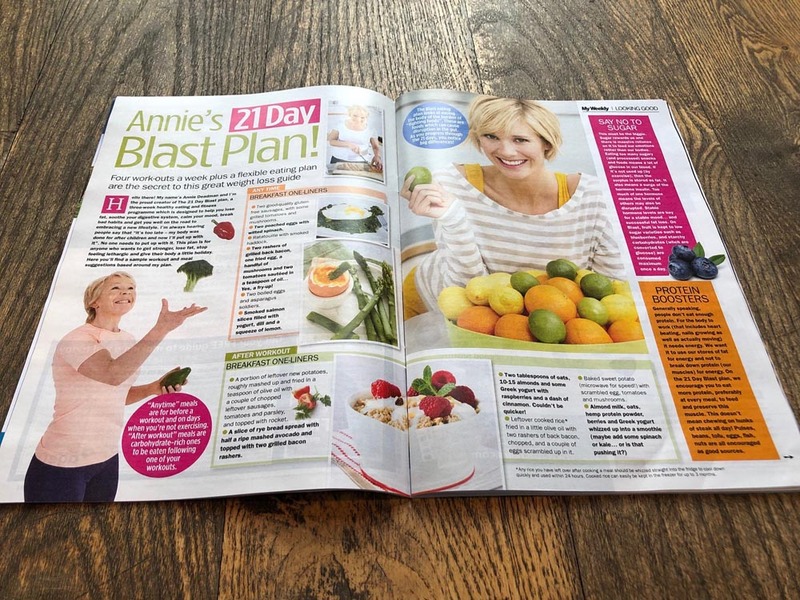 Under the title of "Annie’s 21 Day Blast Plan!" the feature focused on some extracts from the book and included some copy written by me especially for My Weekly. A lovely article with, again, some more bonkers photos of me looking tousled and puffed. This is a great magazine with all my favourite subjects in one place. For the purposes of the book promotion, the focus in this feature is on the gut and the recipes they extracted from the book are all vegan. Colourful photos with snappy copy, the article really does the book justice. 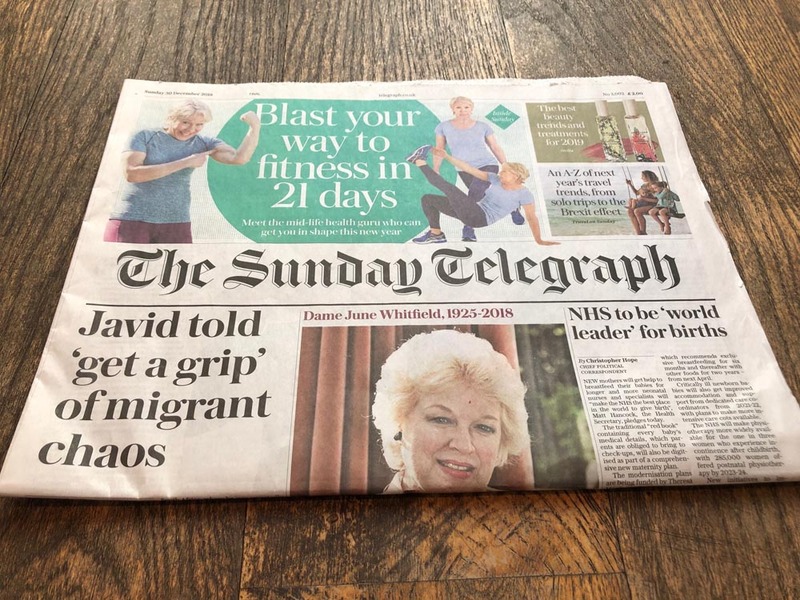 In January 2017 the journalist Kathryn Flett was commissioned by the Daily Mail to do a 7 day taster of The 21 Day Blast plan. She came, she loved and she lost. 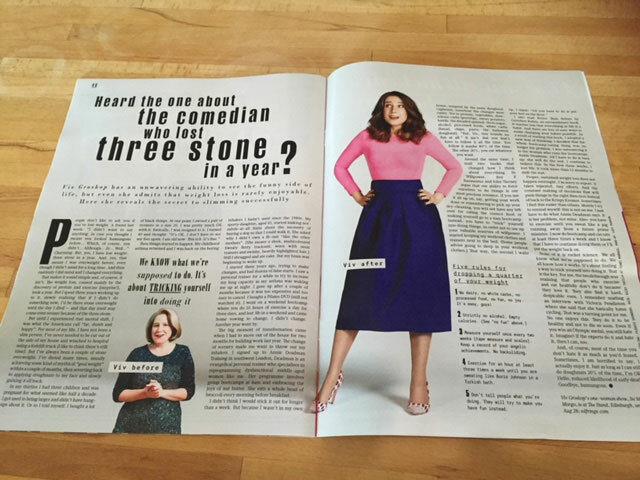 Viv Groskop, comedian and author, wrote in the Style magazine in August 2016 of her three stone loss. And of her unswerving hatred of exercise! And on Instagram… we post workouts and stuff and nonsense there too.